We are on our homeward stretch. The Baltic Sea is behind us and we only have a bit over a week before we will find ourselves back in Berlin. Close to 5 months of riding and over 3800km later we have enjoyed our share of adventures and met some fantastic people. Most of the time the people we connect with are kind strangers who offer us help. Take for instance…. A 36 degree day near Hengelo, Holland. We stopped at a random house to ask for some water. We were given ice water, home grown berries, coffee and an hour or two of enjoyable conversation. It was so much fun chatting with Herbert! If you are ever riding through Holland and are in need of water he is your man!! In Bremen while watching the reenactment of “The Bremen Town Musicians” an elderly German tourist slipped me 10 euros to spend on Amaya – evidently overwhelmed by her charm. We used the 10 euros to buy a lovely picture book of the Grimm Brother’s fable. The Grimm Brother’s fable is acted out every Sunday in the town square. The donkey, the dog, the cat and the rooster. Amaya loves the story! Then there was Astrid, Andreas and Felix. Resting in their driveway after an exhausting day crossing Hamburg, Astrid pulls up in her bright red porsche and asks us if we would like a coffee in her garden. We obviously agreed and were once again treated to an enjoyable afternoon with some unexpected surprises thrown in. There were rabbits, chickens and macaws much to Amaya’s delight. Most random of all was the large warehouse jammed full of antique horse drawn carts, gypsy caravans and even a 100 year old hearse. A child size gypsy caravan! Wow – very random but very cool – the place was like a museum! We were so fortunate to meet these wonderful people! More recently our Baltic sea experience was significantly brightened by fellow campers, Bjorn, Kirsten and Simon (aged 2). Kirsten, Bjorn and Simon. They had been to Australia on numerous occasions and had probably seen more of it than us! A visit to the Butterfly house, a swim in the sea and a BBQ made for a memorable day! 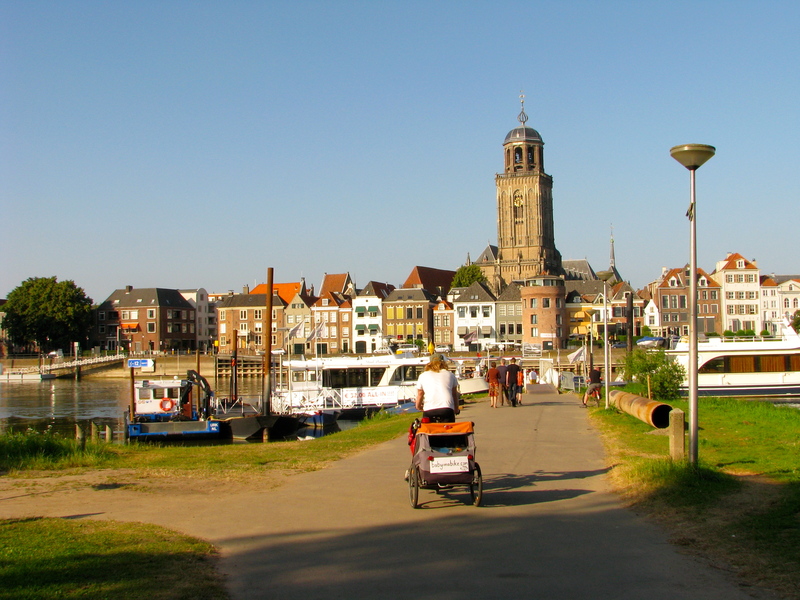 There are countless other examples of these chance encounters, however two families we stayed with during our last week in the Netherlands was not based solely on chance – our meeting was some 30 years in the making and the connections span 3 continents. About 30 years ago a young Israeli called Naim was struggling to fund his travels through Europe by selling paintings in a plaza in a Dutch town called Hengelo. A young couple, Henk and Annie, took pity on him and invited him to stay with them for the night. He stayed for a year. A connection was established with Naim’s family in Israel and Henk and Annie’s family that saw many visits between the two countries. Fast forward to a rainy night in Israel, about 20 years on. Stephen (my brother), Shoshanna and I were looking for somewhere to pitch our tent in front of the Ancient Ruins of Beit She’an. The lady in the ticket office took pity on us and offered for us to stay with her. Her name is Etti and she is Naim’s sister. We stayed with her for a few wonderful days and again in 2008 for a week. Earlier this year Stephen and Jess (my sister in law) were staying with Etti who happened to also have guests from the Netherlands. They were Rosanna and Mariette, the 2 daughters of Henk and Annie, along with their families. 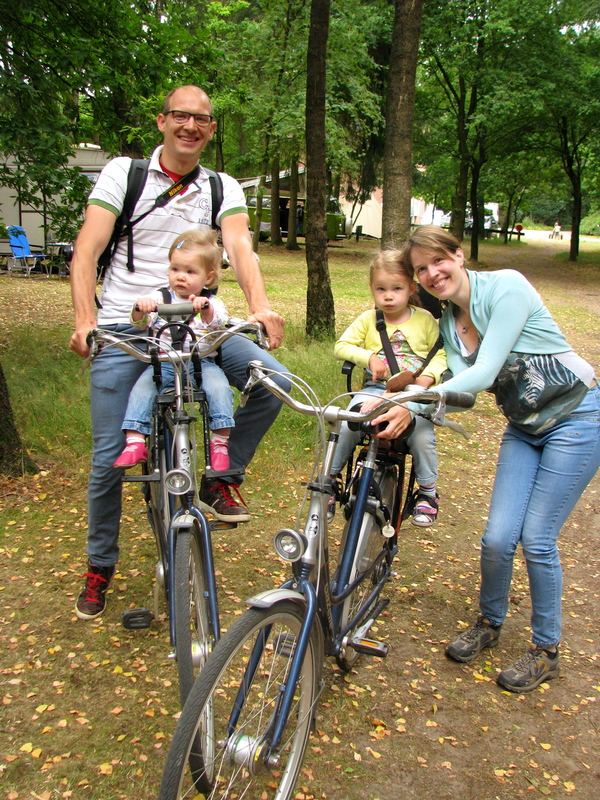 Upon arriving in the Netherlands Stephen and Jess stayed with Rossanna and Henk (the younger). We also had the privilege of Henk and Rosanna’s hospitality in Hengelo, along with a few wonderful days with Mariette and Robert and their children Leor, Micha and Yair. These are the moments that make traveling so enjoyable. The stunning scenery and quaint villages are just a nice backdrop to the relationships and connections we have made on this journey. At risk of going on about it, there has to be something to be said about a culture where bikes are a natural extension of everyday life. Admittedly we are biased about just how much of a good thing this is given our passion for peddling, but the advantages of a cycling culture run deeper than the pure enjoyment of having fresh air rush through your hair while zooming, carbon-free, through the countryside. The elderly: They keep their fitness, their balance, and most importantly their independence. We met a couple in their late 60’s who said they would cycle 30km without hesitation to to have dinner with their friends, and then at 9pm they would cycle home again. The average Australian would find these distances formidable regardless of age! But it gets even better. They told us that his mother (so I’m guessing she would be in her late 80’s) always makes the choice to ride her bike everywhere because she finds it to difficult to walk to the bus stop! Heroine! Teenagers: In car based cultures one of the common stresses of parents with school aged children is the time it takes to transport their children around. Many mums feel like they are a taxi service. Getting one kid from daycare in time to get the rest from school, then dropping off one child to soccer, zooming through the traffic to pick up another from a music lesson – this is enough to drive anyone crazy, especially if you are battling Sydney traffic. Explaining this to a Dutch person just gets a frown of incomprehension. EVERYONE rides EVERYWHERE. Even immigrants take bicycle lessons. High school students can easily ride 20km to school. Not just in summer either. In fact they have no choice as school buses do not exist! We see bands of teenagers going off to the lake together on a hot sunday afternoon. Girlfriends riding to the shops. A guy giving his mate a ride on the back of his bike. Teenagers, like the elderly, are given freedom, independence, and their own transport. It would certainly leave the parents feeling more relaxed knowing that their child is out and about on their own bike rather than worrying about them catching a ride with a rev-head lunatic who pins his masculinity on how fast he can corner his car. Between primary and high school students are often required to sit a bicycle test and from then on they are deemed competent to use the bicycle as their mode of transport. Parents have more time, feel more relaxed, and teens can come and go as they please. Its a win – win, don’t you think? Mums with small children: I’m not sure about other mothers with small children but when I was living in the suburbs with a baby I found it hard to find the time to exercise. 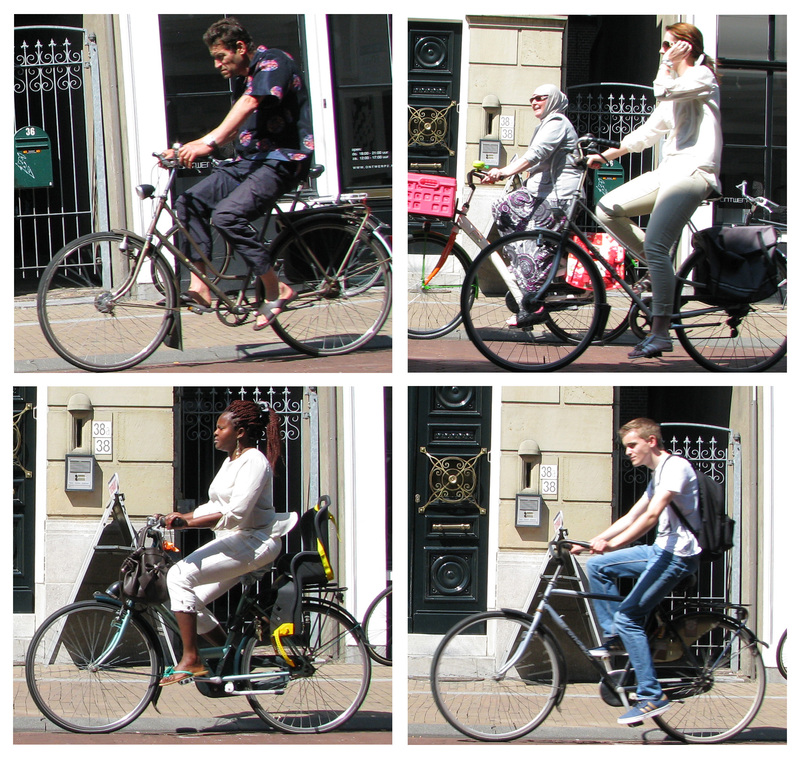 In the Netherlands mothers put their babies on a bike seat (usually in the front of the bike) and off they go. We’ve seen several mothers sitting in a shady spot in the country side with their little one, obviously they have ridden a bit then stopped for some morning tea. To me its an ideal outing. You can get a lot further than walking, its not as hard as running with a pram, but still great exercise. You can even buy whats called a “Mama” bike with a bike seat on the front AND the back. These come with hefty stands so that loading up the kids is safe and secure. Or even better (but pretty expensive) you can buy a bike with a bucket out the front, they even have seat belts in the bucket. Imagine getting picked up from kindy in one of those!?! Pure fun! It looks like incorporating bikes into our everyday life could help to reduce depression in old people, minimise teenage angst and conflict with parents, and maybe even help decreases the severity of postnatal depression! Or maybe I’m looking at it through heavily tinted rose glasses? Of course you can’t grab the best bits of everyones culture. 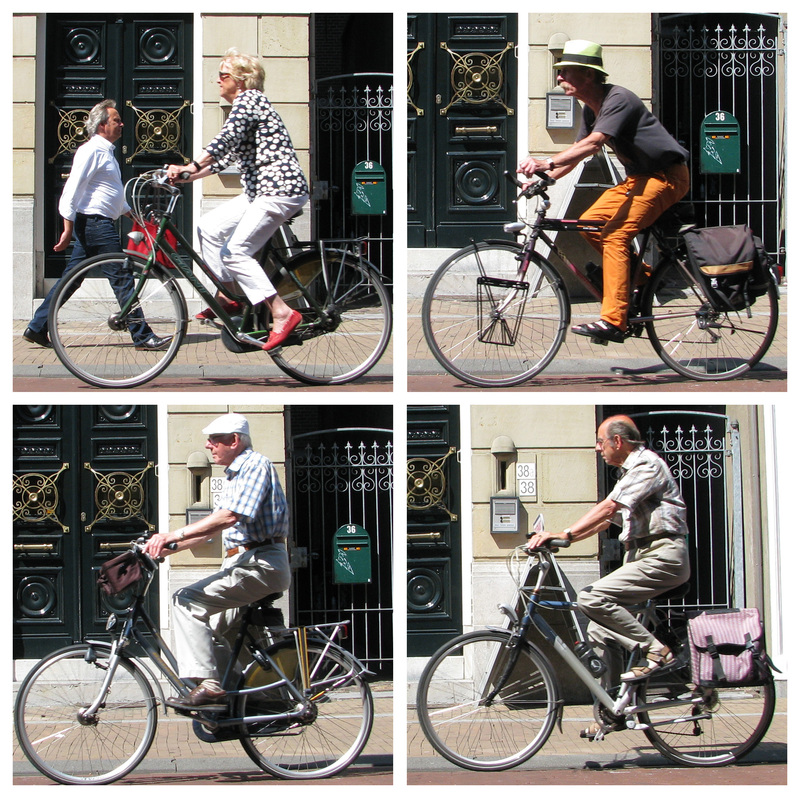 But I do love it how the Dutch are “all in” with cycling and I wonder if Australians could look at cycling as a wonderful form of transport rather than a nuisance on the road. We are, after all, the flattest, driest inhabited continent on earth so whats stopping us? Proud 7 year old after getting her ears pierced!